I just finished watching Sir David Attenborough’s latest series Frozen Planet. It chronicles life at the polar regions. The seventh and final episode examines the effects of global warming on the poles, and what that means for both wildlife and humans at the poles and around the world. No where is it more dramatically obvious that global warming is occurring than at the ends of the Earth, as shown in the final episode through film, historical photos, satellite imagery, and first-hand scientific accounts. I think it is safe to say that Sir David is the greatest nature documentary maker of all time and is an objective purveyor of scientific truth. So it was with consternation on the part of viewers when the BBC announced late last year that they would make this seventh episode optional, along with behind-the-scenes footage, to stations in other countries. Standard operating procedure, they claimed. An easy out to countries that are global warming skeptics, shot back critics. To my own surprise and outrage, even the Discovery Channel, an associate producer of the series, said it would not air the last episode in the U.S., claiming scheduling conflicts. This smacked of politician-style pandering to the misguided minority of Americans who don’t believe humans are causing climate change. Sir David doesn’t even touch on what is causing this warming, only that it is occurring hot and heavy at the poles. There is no room for debate on whether sea ice is melting sooner, is thinner than it used to be, and is breaking up in places where it has never broken before in recorded history. These are facts, not opinions. It was only after swift, vocal outcries from environmental organizations and enlightened citizens that Discovery Channel announced on December 6, 2011, that it would indeed air all seven episodes beginning March 18, 2012. Suddenly the scheduling conflict had fallen through, I guess. I hope more minds are enlightened after watching this series. 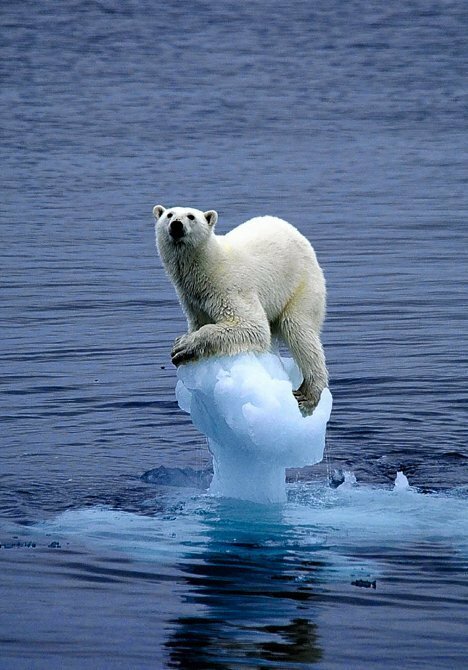 Maybe some of those minds will belong to our pandering politicians whose denial of climate change is on thin ice.